Watsonville, CA - The Santa Cruz County Fair (14th District Agricultural Association) Board of Directors announced the opening of a search process to fill the position of Fair manager. Current interim manager John Kegebein will retire on March 31, 2010. "We look forward to the opportunity to build on the excellent job John Kegebein has done rebuilding the Fair and we wish him every happiness in his second retirement" said board president Jody Belgard Akimoto. She added "Now we need to find the best person to take our strengths forward and lead us into the future." Belgard Akimoto continued "We need a sharp and exceptional administrator who will implement the board's policies and manage the day to day operations of the fair and its grounds." The board is looking for applicants with business experience, vision, and commitment to the community purpose of the Fair. The plan is to have a new manager in place by the end of February, 2010. Interested parties may download an application packet from www.santacruzcountyfair.com or by faxing a request to 831-688-7551. Once the packet is received all applications must be submitted according to form with a resume and a list of five (5) references. Applications must be received by February 15, 2010. Application and search questions should be directed to Patrice at 831-588-2865. 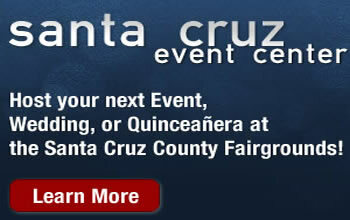 The Santa Cruz County Fair is one of 54 fair organizations that operate as state agencies under the authority of the California Department of Food and Agriculture's Division of Fairs & Expositions.